Handlebar Diner, a unique new casual dining destination with a nod to Americana, opens in Eastmark on April 25, 2017. The first major food and drink spot in Eastmark, Handlebar Diner couldn’t be more fitting for our community. 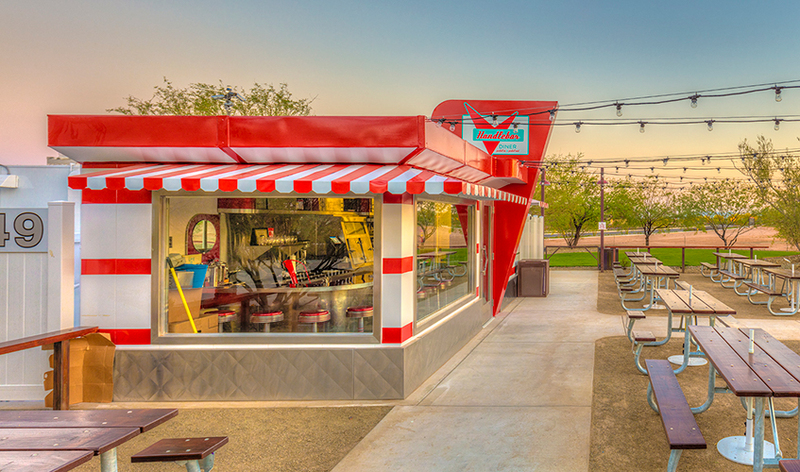 The refurbished iconic 1940s Valentine Diner offers a special spot for people to come together and enjoy a cool vibe and some good food in the heart of our community—directly adjacent to The Eastmark Great Park and splash pad. DMB acquired the 10-seat diner in 2015 through a Craigslist post. 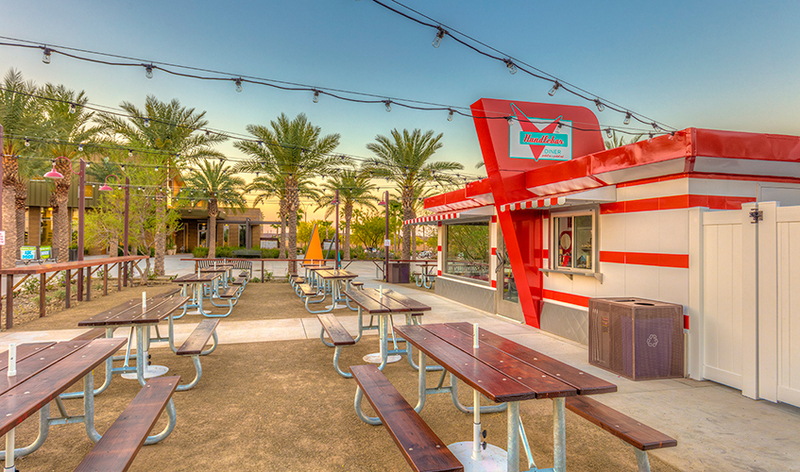 The team had it transported from Loveland, Colorado to Mesa, Arizona and quickly went to work designing and constructing this unique amenity, including an extended outdoor patio area with an expanded kitchen and beer garden that seats 70. “Eastmark residents are social creatures and love connecting with each other,” said Suzanne Walden-Wells, director of community life for Eastmark. 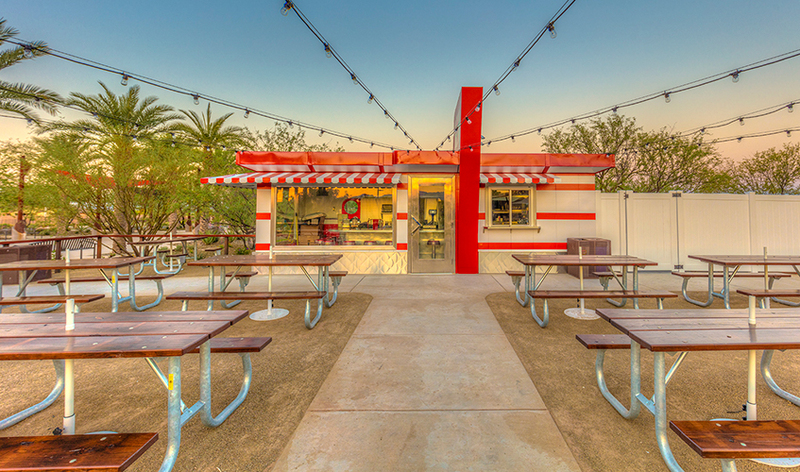 At the helm of Handlebar’s operational management are Left Coast Burrito Co.’s Adam Allison and Aioli Gourmet Burgers’ Kyle Hollenbeck. Handlebar Diner makes its community debut at Eastmark’s April 22 AwesomeFest. 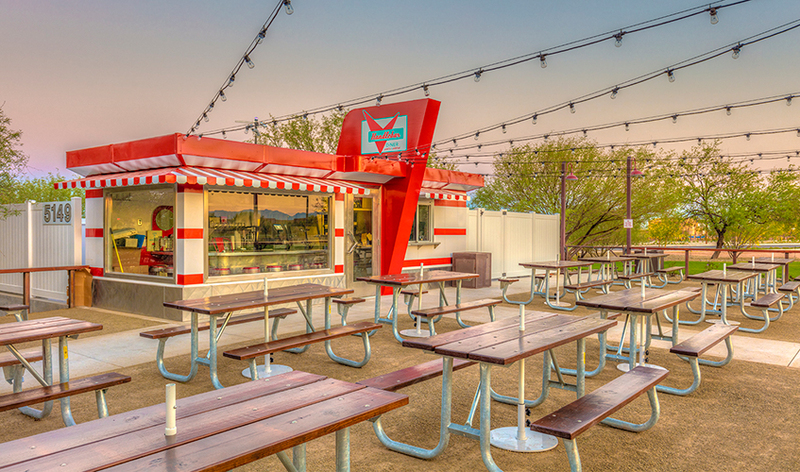 The diner will open to the public on April 25 serving breakfast, lunch and dinner; it offers coffee service and a full bar, including custom draft brews produced with a local micro-brewery.